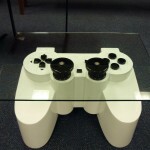 In the past I have posted a lot of really cool gaming console mods but controller mods are harder to come by. 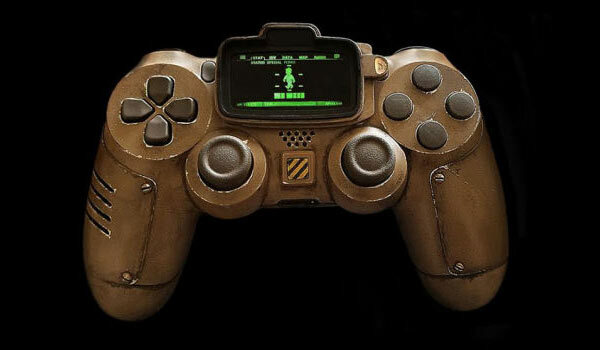 Of course a lot of those console mods I have featured in the past (which you can see if you just search for ‘console mods’ in the search box on the right) have had a custom painted controller to match the console, but I can’t recall having posted any controllers that have been modded to the extent of this Fallout 4 inspired Playstation controller mod. 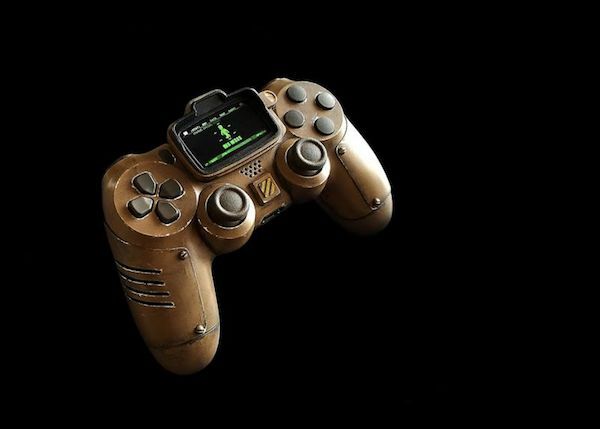 This beautiful Fallout themed Playstation controller mod was created by Devin Smith of End of Line Designs and it basically takes a normal Playstation 4 DualShock controller and gives it a Fallout Pip-Boy look to it. I’d say the results turned out pretty great and I can’t even say I’m the biggest of Fallout fans. Don’t get me wrong, what I have played of them I have enjoyed, but I never have played any of the Fallout games all the way through although I know I really should at some point because they are great games. 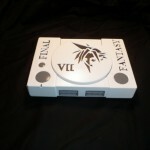 I highly suggest checking out the link above to see some of Devin’s other works because he makes some really incredible controller mods! 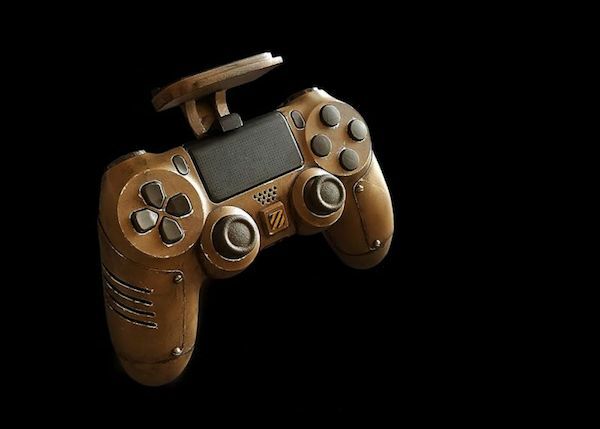 He has a few Star Wars inspired Xbox controllers that I especially love. 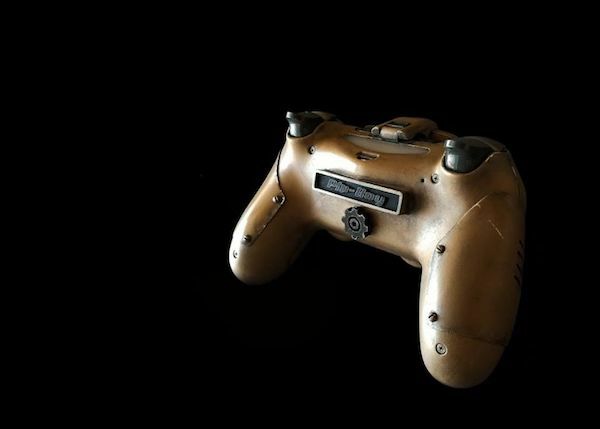 If you or anybody you know has modded their gaming controller, feel free to show off the mod in the comments below! 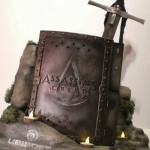 I love seeing how people like to customize their gaming experience. 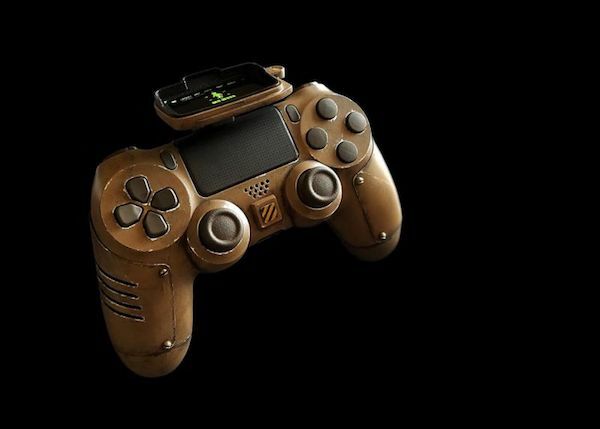 Share this with any Fallout fans and PlayStation enthusiasts you know! 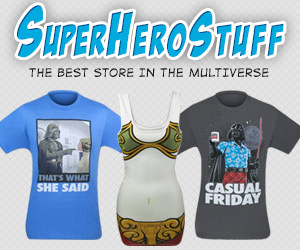 After you have done that, make sure to like Global Geek News on Facebook and follow Global Geek News on Twitter to see the other things we share and interact with us (which is important to the algorithms on those sites to make sure they show you what we share). We love to interact with you guys! 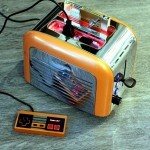 NES Console Toaster Mod Doesn’t Make Toast But Does Play Games!